If you’re just starting out in the field of digital marketing, Google Analytics can be a bit daunting. It is an extremely powerful web application that provides a ton of information on how well a website is performing. That being said, many newcomers aren’t exactly sure what to pay attention to or look out for when they first begin, as the platform generates lots of data. Put simply, bounce rate is when a user visits only one page on your site before heading to another site altogether, i.e., “bouncing” off your site. There may be a number of reasons for this and most marketers often misinterpret the reason behind a bounce. Although a bounce might mean that a user isn’t finding the information or products he or she had hoped for, it’s often an indication of a poorly optimized landing page that lacks clear calls to action. Clarify those calls to action with a good copywriter and Web designer, and that bounce rate should go down. The key is having relevant and engaging content. Traffic sources refer to where, exactly, site visitors are coming from. This is a key indicator, as it will help you determine just what platforms are best for reaching the majority of your audience. We all know that great content strategy is key for attracting new visitors and keeping established ones. 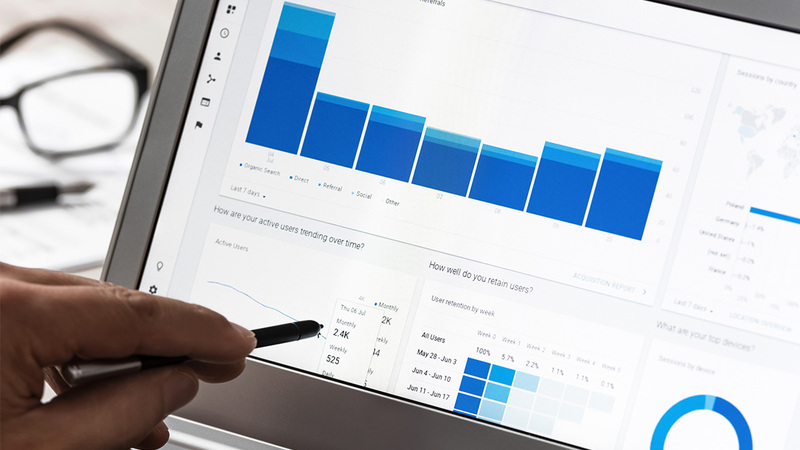 The Analytics content tool is important for determining just how well your content is working, and whether there are gaps. By looking at your most popular pages, you’ll get a better sense of what your customers are interested in. The average visit time will help you determine how useful they feel your content is and you’ll also see where visitors are exiting your page from. Google Analytics can provide powerful insight into any site’s marketing efforts and optimization. But with all of that power comes a plethora of tools, some simple to master, some more complex. One thing’s for sure: With these 3 basics you’ll be off to a great start. Do you know of any other important Google Analytics metric? Share this with us in the comments below.